We welcome everyone at BeKarma Yoga. Our teachers are always happy accommodate every level from complete beginners to advanced yogis. In Hatha Yoga we focus on posture and breath, using classic asana practice mixed with other styles to build strength, flexibility and of course, encouraging stillness in the mind. In Vinyasa Flow Yoga we move with breath from posture to posture. It is an invigorating practice - stronger than you might think - but deeply relaxing as the mind and the body come together in flow. The studio is heated to 37C for Hot Yoga. 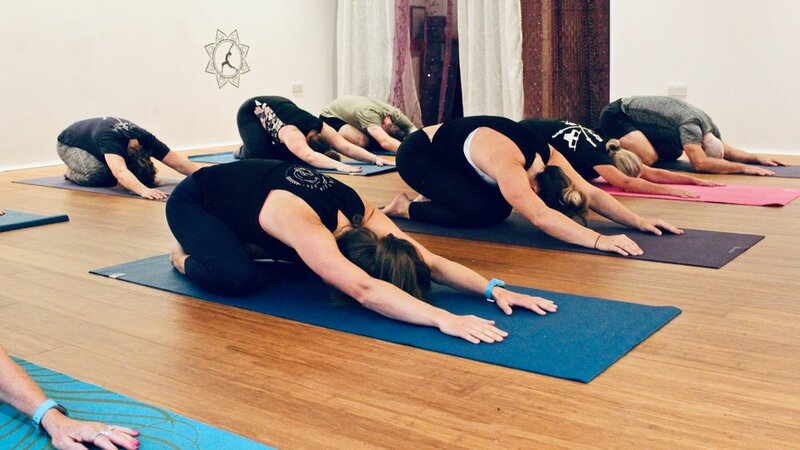 We work through a sequence of postures and the heat encourages the flexibility and relaxation of tight muscles, allowing you to find a depth in postures that you may not have before. You can find out more about Hot Yoga here.